On 21st April 2019, Her Majesty the Queen will celebrate her 93rd birthday. 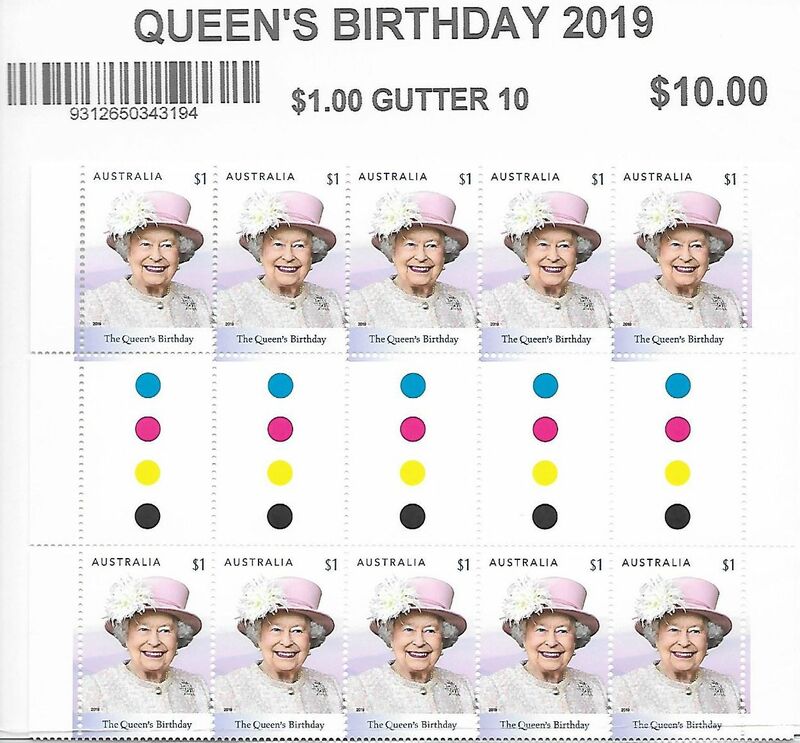 While 21st April marks the Queen’s actual birthday, King George II established the tradition, in 1748, of the monarch’s birthday being publicly observed on the second Saturday of June. Wanting a public celebration of his birthday, the King, who was born in November, decreed the monarch’s birthday would be celebrated in summer and would coincide with a military parade. 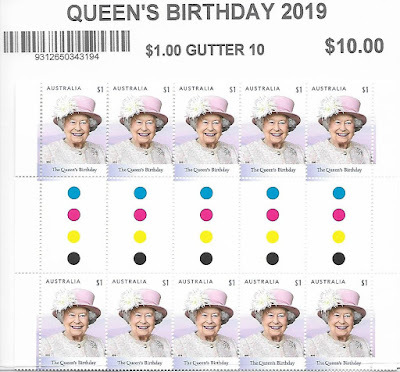 The Queen’s birthday on 21st April is marked by midday gun salutes, but otherwise the occasion usually comprises a more intimate family gathering. This is in contrast to the public celebration each June, the centrepiece of which is the spectacular Trooping of the Colours, a parade involving more than 1,400 guards from the Household Division of the British Army, many of whom are mounted. 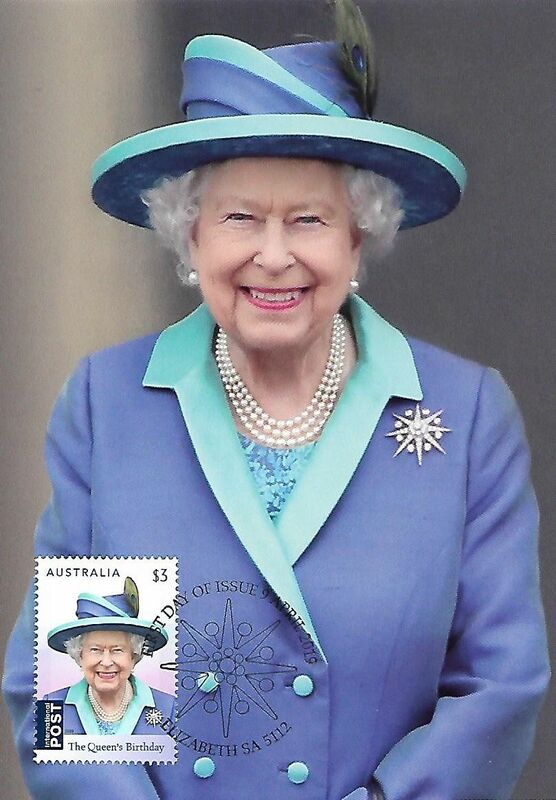 The stamps in this year’s annual Queen’s Birthday stamp issue show Her Majesty at two recent public events. The photograph in the $1 design was taken during a visit to Chichester Festival Theatre, West Sussex, in late 2017. In the $3 design, the photograph shows the Queen as she observes a Royal Air Force flypast from the balcony of Buckingham Palace, during the air force’s centenary events in July 2018.